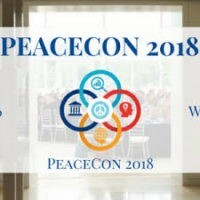 The Alliance for Peacebuilding held its annual conference last week. With more than 600 attendees at an open day at the United States Institute of Peace and more than 300 at two more days for our members, it was by far the largest such event we’ve ever put on. We also learned more than we have in any other year. Some of that came in larger sessions, some of which had keynote speakers. These will appear on the AfP web site sooner rather than later. We learned even more in smaller working groups. I didn’t get to attend as many of those as I would like because I have to spend a lot of time catching up with old friends and working on issues that are not on the formal conference agenda. Perhaps most important were two new initiatives that were publicly discussed for the first time. There was a keynote speaker each day. Donna Hicks reviewed her work on dignity. In her books and her practice, Donna has done a terrific job of showing how ignoring someone’s dignity deepens conflict while honoring it helps and may well be an irreplaceable part of any conflict resolution program. 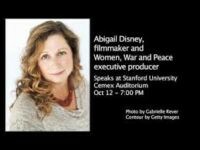 Abigail Disney is best known for her films, including Pray the Devil Back to Hell which recounts the role women played in bringing down Charles Taylor’s dictatorship in Liberia. As is her wont, Disney focused on the power of story telling in general and the need to get drama, story arcs, resolution, and the like into our work if we want to reach the mainstream of American — or any — society. Among other things, she talked about Gun Neutral, a new project she and other filmmakers have committed to. For each gun they show on screen, they commit themselves to destroying ten more. Abby spoke to us on Friday. The importance of that initiative became even clearer the next day when a gunman killed eleven worshippers at a synagogue in Pittsburgh…. 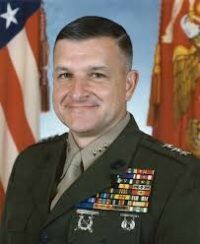 The most challenging keynote came from General Anthony Zinni (USMC-ret) who was in charge of CENTCOM in the late 1990s. We asked Zinni because he has both been critical of recent American policies in the Middle East and because he has a masters degree in conflict resolution, in which he studied with one of my best friends. In particular, Zinni argued that the United States and other governments needed interagency programs that brought the military, NGOs, and others together to help shape more coherent — and more peaceful — policies than we have today. The most useful time was spent in small group sessions during the two days AfP members met on their own. Again, I didn’t get to all that many sessions, but here are some of the highlights I came away with. Beyond Conflict has created the first innovation lab in the peacebuilding field that will focus on neuroscience and other initiatives. Jin In and others focused on the importance of empowering young women which is more than just educating them, but putting them in positions in which they can shape not only their own lives but society as a whole. Two entire panels explored new ways of funding our work which included the first serious analysis I’ve seen of how we could and should influence policy makers by the European Center for Development Policy Management. Monitoring and evaluation. This continues to be an important topic for our members as well as for our own day-to-day work. This year, I was struck by the importance we are all giving to incorporating learning into the design of our projects and in the ways we are trying to impact policy makers around the world. Finally, two new initiatives were on the agenda, although neither is quite ready for prime time. Leaders of the world’s largest peacebuilding organizations — including AfP — have been meeting for the last few months to combine their efforts to magnify out impact on public policy and public opinion. The group plans to launch a number of initiatives designed to shift the narrative about how people around the world deal with conflict. As one of them puts it, “conflict is inevitable, violence is not.” Keep on the lookout as they role out concrete initiatives, starting with the first one which has already achieved some success — getting the word peacebuilding into the world’s dictionaries. Again, keep on the lookout for news on these initiatives.